When acquiring industrial property, the purchaser works often on a checklist and the property must fulfil certain criteria, says Hein Hattingh Marketing Director of In2assets the commercial & Industrial property company in South Africa. The most essential characteristics of a truly great industrial property comprises location, income, accessibility, available power, yard space, vehicular access and load capacity amongst other important factors. Industrial properties vary greatly in terms of shape, size, and building requirements. Whilst some industries require very specific layouts and configurations, options most of the time allow owners to tailor-make a property to accommodate the special requirements of a particular tenant, comments Hattingh further. 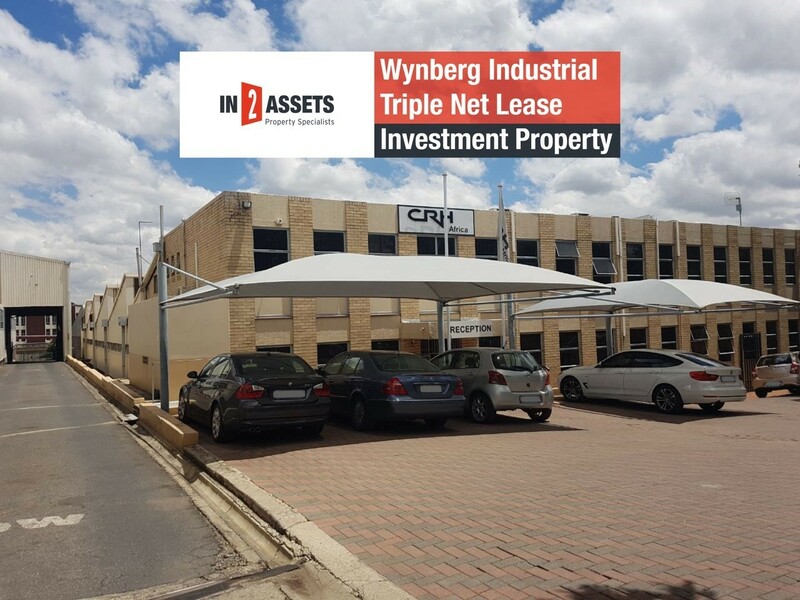 A property that certainly meets all the above requirements is an industrial property in Wynberg being a prominent industrial node of Sandton, Gauteng. This industrial property is for sale by public auction on the 6th of March 2018 to be hosted by In2assets, National Property Specialists. Located on the southern side of Thora Crescent backing onto Chadwick Road in Wynberg this property is surrounded by prominent established industrial manufacturing brands and the area is well accessed via a conventional road network close to the M1 Freeway. The property with an extent of ± 5627m² comprises of a slightly sloping site, improved with a double volume industrial / factory building, double story attached offices and other ancillary facilities inclusive of sheds and extensions on an enclosed and paved site. The improvements of the property include a manufacturing and storage area of approximately ±3751m² with an additional office component of ±479m² and some outside sheds of ±756m². The property which is currently let under a triple net lease to a Blue-Chip Company until 2021, enjoys a monthly income of R 191,000 and offers the perfect opportunity for an investor or end-user concludes Hattingh. For more information on the property and about the auction venue, contact Hein Hattingh on hhattingh@in2assets.com or 083 6390558.